Proper pruning and other maintenance techniques are the real secrets to a successful Japanese garden. 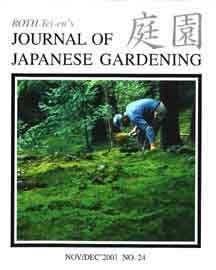 With this in mind, JOJG publishes regular articles about Japanese gardening tools, Japanese garden projects, and the various techniques needed to complete those projects. These "hands-on" articles cover a wide range of topics, from bamboo poles to tripod ladders, and from from pruning trees to pruning saws. Articles in the "Tools, Tips & Techniques" category also deal with basic, yet important , everyday gardening and carpentry skills. One article might explain how to do root pruning for trees or how to build a modest Japanese garden gate. Another article might explain how to select the best aluminum tripod ladders. Still another article might discuss various bamboo tools that are used in the Japanese home and garden. JAPANESE GARDENING TOOLS These articles discuss unique tools that are used in Japanese gardens. Examples would include aluminum tripod ladders, the Japanese pruning saw, Okatsune hand snips, and special pruning tools. BAMBOO TOOLS AND TECHNIQUES Bamboo is amazing, both as a plant and as a building material. 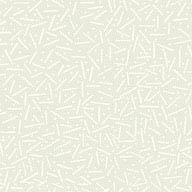 It's no surprise that there are dozens of special bamboo tools and techniques used in connection with it. These articles deal with topics such as bamboo poles and screens, bamboo digging tools, and bamboo craft tools. JAPANESE WOODWORKING TOOLS This is another huge subject that seems to be known only to Japanese professionals and a small group of Japanese woodworking enthusiasts. Subjects include Japanese planes, Japanese saws, Japanese sharpening stones, and Japanese chisels. DIGGING THE EARTH These articles are about subjects such as shaping the earth, transplanting trees and root pruning trees. GENERAL GARDEN MAINTENANCE Even though tree pruning gets the lion's share of our attention, general garden care and cleanliness is even more important. These articles discuss tasks such as weeding, sweeping, watering, and turf maintenance.